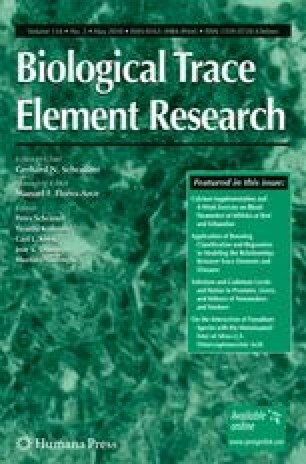 Cadmium (Cd) from cigarette smoke, environmental, and nutritional sources accumulates in the human prostate where it interacts with selenium (Se) in a manner suggesting the formation of a 1:1 Cd–Se–protein complex. At low Cd exposures and adequate Se status, this interaction may be beneficial as it results in the detoxification of Cd. At higher exposures, Cd may weaken or abolish the anticarcinogenic effects of Se and increase prostate cancer risk. In some older men and especially in smokers, Cd levels in prostates reach levels in stoichiometric excess over Se, which may be the reason why heavy smokers are at higher risk of developing lethal forms of prostate cancer. In the liver and the kidneys, Cd accumulates as well, but in these organs, Cd is efficiently sequestered through metallothionein formation. In the prostate, this mode of detoxification is not available or less efficient, causing Cd to interact with Se and to increase prostate cancer risk.